Most people start blogs with the intent of sharing their thoughts with the world or providing information about existing products and services offered by their brand. Additionally, a blog can be great supplemental content in fleshing out positive SEO metrics for websites that might not have much detailed content elsewhere. 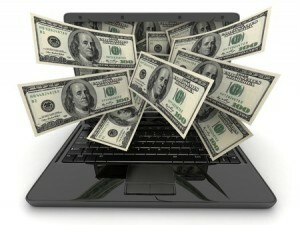 However, blogs themselves can be great moneymakers when optimized under the right circumstances. There are a number of ways to enhance the monetary value of a blog and generate reliable income; while each individual method may not generate much, combined, they can truly add up. Let’s look at those methods today so you can begin extracting real monetary value from your blog. One of the most common money-making methods for websites and blogs, Google AdSense allows brands to earn revenue for displaying ads on their sites. This can be a very good way to generate a small yet passive amount of income that’ll require no additional work beyond what you’d normally do for your blog. Some blogs have resorted to pinging users with more ads via AdSense in recent years due to the increased usage of ad-blocking plugins, but you can also choose to combine this method in moderation with other tactics. Podcasts are back! Millions of people regularly listen to podcasts. If you cover one or more subjects that are interesting to audiences and already have a good following, then creating podcasts makes sense. You can inject commercials at the beginning, middle and/or end of each podcast, with advertisers paying you relatively good sums for each listener. Many individual podcasts can earn anywhere from $10-20 per 1,000 listeners. You can easily earn passive revenue by subtly promoting the products and services that relate to your blog’s area of expertise. Whether via product reviews or casual mentions, affiliate network programs allow blogs to link to various products and services. If somebody follows the link from your website and purchases the product or service, you collect a percentage of the sale. It couldn’t be easier, and there are many major affiliate networks from which to choose. If your blog has a decent following, then you must be doing something right. Many blogs generate a bit of passive income by offering branded gear or other products that their audiences will appreciate. Whether to show solidarity with the brand or to satiate a need or desire, some blogs generate big bucks via their own blog-specific store-fronts. Best of all, you can set one up and utilize one of many solutions that requires no investment in products; simply outsource the creation and delivery of the products to a third-party and earn a percentage of the profits. Last but not least, asking for donations via the blog is a time-honored tradition. Everybody knows it costs money to maintain and operate a blog. From the time spent creating content to the web hosting fees associated with it, you’re going to spend some money and time keeping things running. Casual yet visible requests for donations to keep the site running as intended can definitely produce the occasional bit of revenue for any blog with a loyal following. If you combine these five revenue-generating ideas under one roof, then your blog can suddenly begin generating (relatively) vast amounts of income. By pinging users with requests for donations, affiliate links, services, ads and podcasts, you can earn anywhere from hundreds to thousands of dollars per month depending on your audience size. Give these methods a try – and be sure to let us know how they work out!